Snapshot: This document provides an overview of the Health Insurance Portability and Accountability Act (HIPAA), why it should matter to nurses, and nursing responsibilities regarding this federal law. HIPAA stands for the Health Insurance Portability and Accountability Act. The law has many components; the area most important to nurses is the law’s mandate to preserve the privacy of patients’ private health information. HIPAA regulates so-called covered entities, which are healthcare providers, plans and clearinghouses, who create, use and distribute protected health information (PHI). Clinical data, such as lab results, diagnostic test results, procedures, medications, etc. 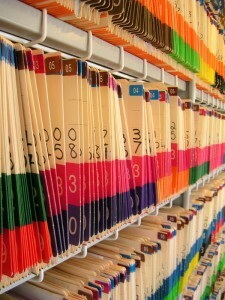 Why Should I Care About HIPAA? Nurses are at the forefront of handling, managing, and disclosing private health information, via communication with patients and their family members, with other medical providers, and because of their own documentation requirements. As health records increasingly move online and are shared with an ever wider variety of individuals and institutions, the RN’s role in HIPAA compliance will continue to grow. HIPAA violations, including unintentional violations, now carry serious financial and civil penalties. You will most likely be required to receive HIPAA training on a regular basis. HIPAA is not intended to operate as a ‘one time’ law. Rather, it is a process that requires ongoing education, learning, monitoring and compliance. According to this principle, when you access PHI you should ask yourself: do I and others need to know this information for me to do my job as a nurse? For example, to properly care for your patient, you need to know your patient’s clinical information such as current lab results and recent medical history. You do not need to know your patient’s marital status, or to know clinical information about the patient in the care of another nurse, unless you are directly assisting with the care of that patient. According to this principle, when you access PHI you should ask yourself: am I using or disclosing the smallest amount of PHI necessary to do my job?